Invigorate your outdoor space with the Everett 3M Scotchgard Outdoor Panel. 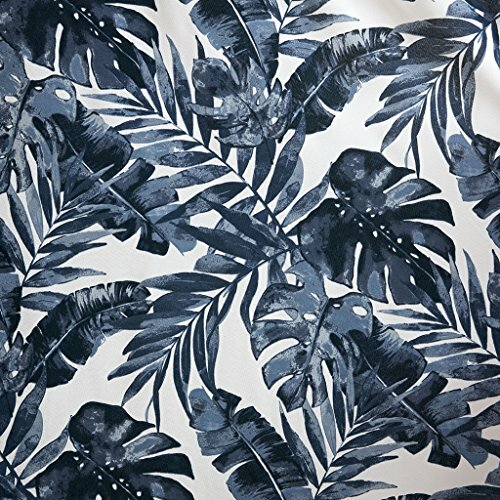 Lush indigo palm leaves will give your décor some edgy tropical flair, while the durable fabric provides long-lasting protection. 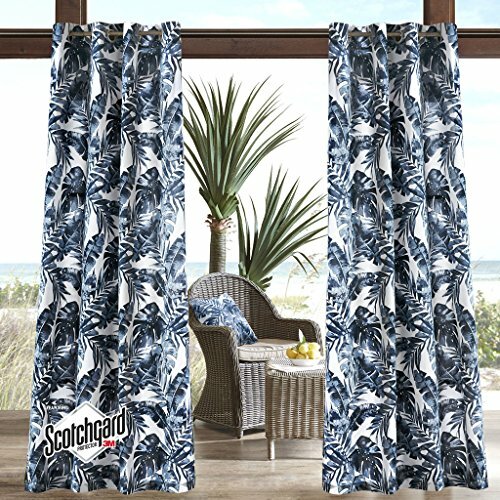 The 3M Scotchgard treatment helps repel moisture, resist staining, and creates a water barrier that keeps these curtains drier longer. 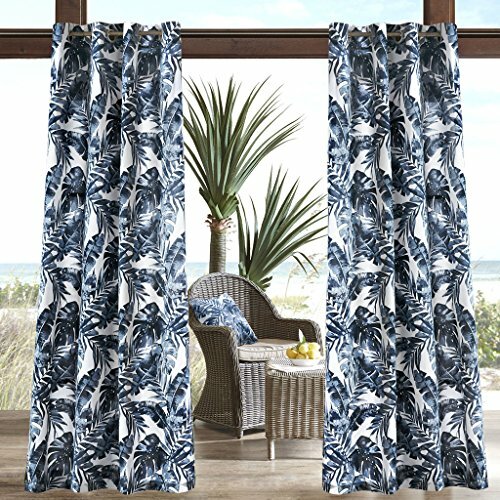 Simply hang to stylishly separate your space, enhance privacy, or filter the right amount of light for comfort. Washing before use will soften the fabric.